Hello, tokusatsu community! It’s Joshua Perry here to talk about SODO figures on my fortnightly series, SODO Sundays. After a year of SODO updates it’s time to kick off Season 2 with the loose ends of Build and the beginning of Kamen Rider Zi-O! Although Build ends next week and the final Premium Bandai set was already revealed, there are still a few more things up Bandai’s sleeve. First up is a hidden accessory for the Premium Bandai set in the form of the Build Driver with the Magma Knuckle and the Hazard Trigger in it from Build episode 48. Since that episode was not out at the time of the set reveal, they waited till now to show it off. So, if you already pre-ordered the final set this will be thrown in with it. A Coming Soon image was also shown off. Could this be something related to the finale next week or something in a special post-show? Only time will tell. Speaking of time, the next Kamen Rider series is joining the SODO line! Kamen Rider Zi-O will be the third Rider series to have a SODO figure line and the first figure in Set 1 was revealed to be his base form. Combining the distribution of an armour box and body box from the Ex-Aid line with the articulation and quality from the Build line Zi-O is trying to be the best of SODO line yet. Like other figures, Zi-O will come with a stand and sticker, which is the same stand they’ve used since Ex-Aid. He will also come with his Jikan Grade in sword mode. No gun mode for it yet but it will come eventually. Zi-O will also follow in the footsteps of the Dai-SODO line right off the bat by including a set of swappable hands! He is shown using them for a passing of the torch moment from Build to him. 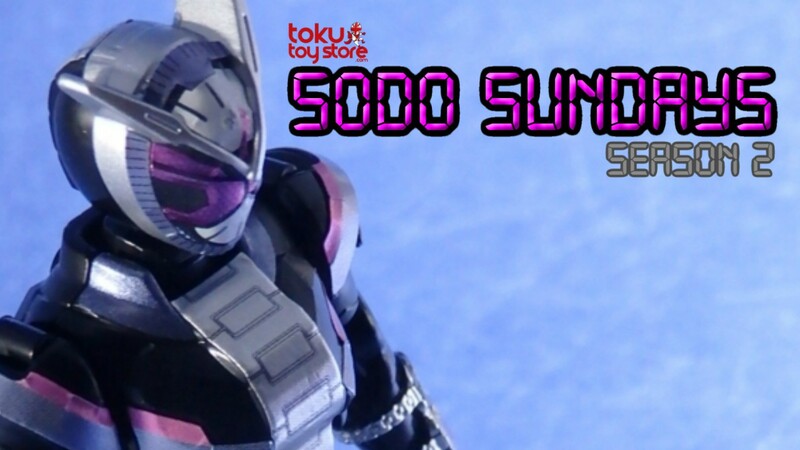 We are in for another year of SODO greatness with Zi-O on SODO Sundays Season 2!